Any successful breeder will tell you the key to their success is the quality of their mares. Our Gypsy Gold mares are all either foundation mares, or direct daughters of foundation mares, and are carefully chosen based on their breed type and outstanding dispositions. Currently a few of our finest mares are available for purchase. Please visit our Sales page for more details. We also foster an Embryo Transfer Program, whereby you may purchase an embryo from one of our mares, choose your own stallion and either have one of our Mule Moms carry the foal, or provide a recipient mare and take her home to foal out at your own location. This can be a very affordable way for you to achieve your breeding dreams without investing in your own broodmare, as well as gives you access to some incredible mares that would otherwise not be available for purchase. 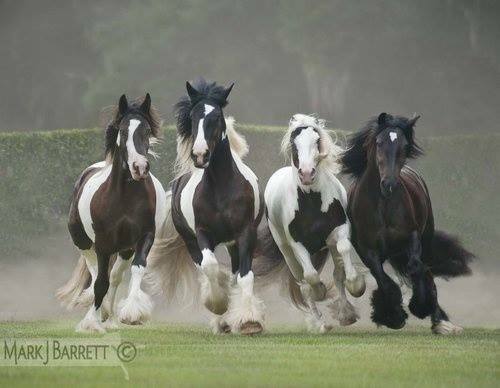 We are dedicated to growing and preserving this special breed and are happy to answer any questions you may have or help you select the nucleus of your own Gypsy Vanner program!